Ever wondered how a simple outing with your loved ones can deepen and strengthen your relationship. Finding trouble or getting bemused with places? Lets make it easy for you. We all know Delhi is know for the place of love and romance. You must have heard this famous Hindi lines “Dilli hai Dil Walon Ki” which is cent percent true not just because of the love birds, but for many a reasons. Be it politicians, great educational institutions, giant cooperate to media houses — each and everything is in Delhi so why stay behind in having good places for love making, hanging out and having fun. For those who are looking for the chilling places in Delhi to beat the summer can see the Amusement and Water Parks in Delhi, Noida and Gurgaon (NCR). Garden of five senses is located in Said-ul-Ajaib on Mehrauli-Badarpur Road in South Delhi. It is considered to be quieter and romantic than any other place in Delhi. Garden of five senses has been dated back to Mughal history, which induces the Mughal Garden which has been regarded as “more than just a park”. Due to it’s water features,colorfulness, intoxicating fragrance and it’s ultimate collection of flora and fauna. Quite Famous for young couples. this park contains food and shopping court as well on other side of the walkway.The cool breeze beneath the green and beautiful tress will only add up to your Romance. We have rated on the top our list since it is one of the most safest place to hangout with your loved ones no matter if they are your girlfriend or boyfriend or more than that. Entry charges: Rs 30 (Adults) and Rs. 10 for sr.-citizen and children below 12 years old. Lodhi Garden is situated near the Khan Market. It is the perfect place to spend a relaxing afternoon and evening admiring nature. And if your partner’s stomach growls for food, “Lodhi Garden Restaurant” is right place for you. Either enjoy lunch or savor the taste of dinner that’s your wish! The garden contains Mohammad Shah’s Tomb, Sikander Lodhi’s Tomb, Sheesh Gumbad, Bara Gumbad etc. If for a day you desire to keep away from hustle or bustle of the town and remain in solitude with your partner. This place will undoubtedly rise above your anticipation, and you will be accompanied by exclusive flowers and beautiful birds that will help finding you solace. Connaught Place also known as CP among the youngsters. It happens to be heart of shopping in Delhi. Built in the year 1931, it attracts everyone for both their love and shopping. Which is the better way that could you find to see that beaming grin on your girl’s face? With around 100 of branded and local shops including exotic restaurants Connaught Place absolutely stands to provide leisure time with the loved one. Palika Bazar (an underground market) is right by Connaught Place. Other than that a Big Lush Green Park is located nearby both the markets if u feel the urge to take some rest or spend the remaining time together. If you prefer Romancing in public this place is most likely for you. Popular for it’s handicrafts, restaurants and theme based shopping exhibitions. It contains everything that can make your whole day pass with arms in arms. Located at the Ring Road near the INA, Delhi Haat is easily accessible to metro. Dilli Haat is not just a market place; it has been visualized as a showpiece of traditional Indian culture forum where rural life and folk art are brought closer to an urban culture.Hence this place will enlighten you with cultures and customs of different regions. Ok, so many of you might have already been to the place but for those who never did go and explore. India Gate was built in the memory of those soldiers who lost their lives at the time of The World war.Located at Rajpath it is considered to be a famous tourist spot in Delhi. A romantic boat ride combined with a rich and creamy ice cream at the lawn makes it a perfect place for the lovebirds no matter what age group they belong to.During night the place will charm you by its elegance and beauty.This place will definitely win your heart and your love will indeed shine here. Ansaal Plaza Mall is simply located at Andrews Ganj in South Delhi. Opened on 1 November 1999, it is the first major shopping mall of Delhi and this fact makes it more special. It is built in a circular fashion around an amphitheater with a stage at the center. It is referred as one of the best dating places with dozens of eating joints to satisfy your hunger and also ample of brands to shop from and behind it you will find a huge park to sit in silence with your partner. Metro Walk Mall and Adventure Island is situated in Rohini. Metro Walk Mall is said to be the Biggest Mall in North Delhi with it’s wonderful shopping complexes and modern entertainment venues. Covering nearly 2,00,000 sq.ft. of area, the Mall also provides with an amazing Amusement Park named, The Adventure Island equipped with a number of swings and rides that will astonish you completely. So if doing something different and totally crazy is your idea of Romance then this place for sure wouldn’t let you down. With more then 20 food joints including Cafe Coffee Day, Baskin Robins etc and nearly 30 fashion stores including Pantaloons,West Side etc Metro Walk has everything that will keep you there all day. Qutub Minar is located in Mehrauli and is the World’s Heritage site. The tall minaret was constructed in 1192 by Qutab-ud-din Aibak, and later completed by his successor Iltutmish. Each of the 5 storeys and tower of Qutub Minar has unique designs. It offers a lush green park offering a scenic environment to the couples. One of the best days to visit this complex is on Mondays very few people visit at that day. This place not only provides with historic buildings but also with an awe-inspiring Minar, and a beautiful park. The iron pillar holds and extreme merits in the history and the other big and small minar like buildings. What makes Delhi so special and endearing is its old world charm. Also know as Purana Quila (Qila), this fort was built in the 16th century. You can enjoy the boating or Shikara Rides in the Lake Adjacent to the Fort with the special one and let the moments be captured in camera. Celebrate your love the Shah Jahans’ way. Sit in the lawns of the Red Fort, with the city’s crisp air and flocks of pigeons for company. The Delhi Zoo is another place just near the Purna Qila where you can hangout with your loved ones and can spend some more time with them. Hauz Khas Village is located in the south Delhi about a distance of 500 meters from IIT Delhi Campus. 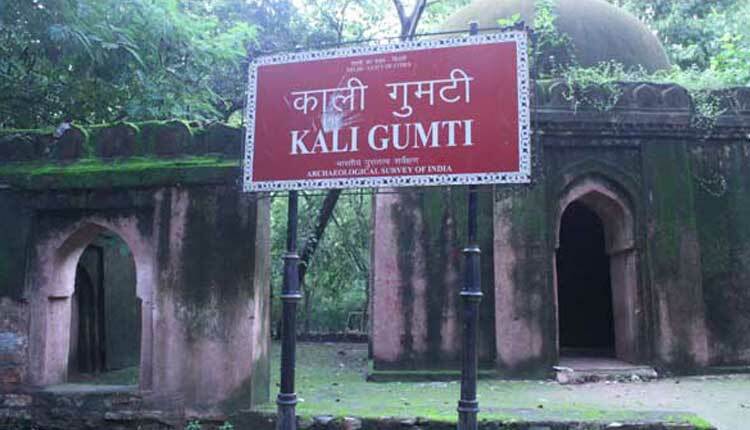 It is one of the historic habitation around the Hauz Khas Complex dated back to the Mughal history. Hauz Khas village is one of the favorite place for the couples to hangout and spend time in privacy and silence. Deer Park also known as AN Jha Park. A paradise for morning walkers, has picnic huts, and is approachable from Hauz Khas Village. it’s close to city tennis Association. Hauz Khas Lake and green park with historical forest; this place adds more romance to young couples. Firuz Shah Tughlaq is located in the Deer Park where couples find place to spend time with loved ones. Rose Garden rose garden is situated in the Hauz Khas Village and nearer to IIT Delhi campus is the major spot for young couples to spend time. It is quite safe place in Delhi to spend sometime with the loved ones.